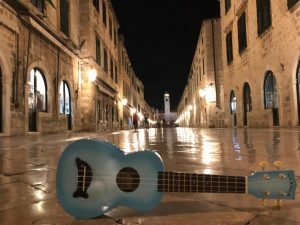 Since 2016 we have been returning to Dubrovnik, having played at many venues in the area. With many parts of the wedding day taking place outside, we are an ideal form of entertainment, because we have the option to play completely acoustic, without electric for our day-time sets. 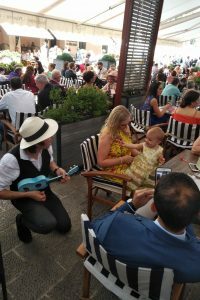 We will create a perfect atmosphere for your guests enjoying the sun and tapping their feet to some familiar songs! 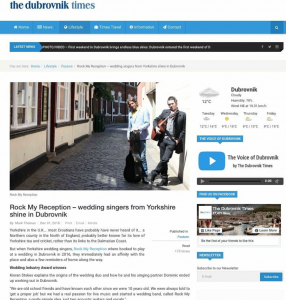 We have built up a great rapport with the local wedding business's and wedding organisers. This helps the process run smoothly and enables us to deliver a professional and reliable service. 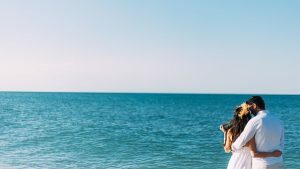 We believe that for any wedding to be a success we should work as a team, fitting in with any plans of your venue staff or wedding coordinator. 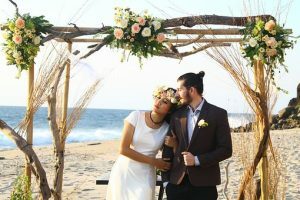 We will always make a point of contacting your wedding organiser before the wedding, not to get too involved, but to touch base and brief each other on any relevant details. 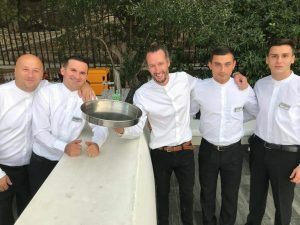 Take a look at our feature in The Dubrovnik Times! Let us know which parts of the day you are interested in booking us for. 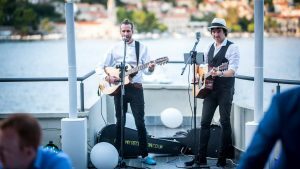 Remember we can offer live music during your ceremony, drinks reception, boat cruise, and evening reception. We can also provide a DJ package and Master Of Ceremonies service. We will get back to you with a full quote. This will be inclusive of all our travel and accommodation overheads. So there are no hidden extras. We will then arrange any logistics needed such as PA, lighting and speaker hire. Feel free to ask us as many questions as necessary! After you confirm the booking we will send out our booking form. The Countdown To The Big Day! We will keep in touch during all the planning process if you have any ideas or questions for us. We also make ourselves available to your venue staff and wedding organisers, should they need to contact us. All you have to do now is choose any favourite songs for us to play and let us entertain you! Here are a few of the many venues and locations we have performed in, in Dubrovnik. Don't let the party atmosphere go flat on the boat. 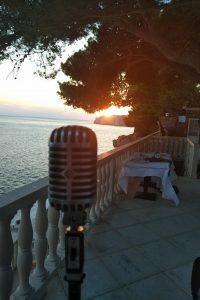 Having a sing-a-long on the waves is a great way to entertain your guests! We have regularly played at wedding ceremonies here. 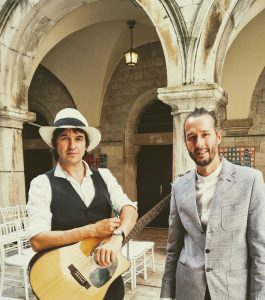 The acoustics in Sponza Palace are up there with some of the best venues we have ever performed in, no need for microphones in here! The Grand Villa Argentinas has a stunning garden area for ceremonies with fantastic views of the Adriatic. The garden terrace offers great eating and partying area for the reception. There is also a host of other rooms and facilities at the hotel for reception drinks. All of which have stunning vistas of the coastline. Set above the pretty coastal town of Cavtat, Hotel Croatia is conveniently situated just 6km from Dubrovnik airport. 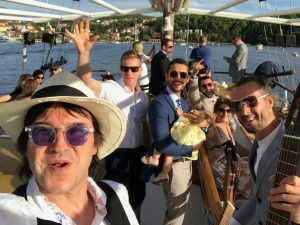 The venue offers views of the sea from most of its reception rooms, plus a separate restaurant and wedding venue down the hill from the main hotel, literally on the shores of the Adriatic. 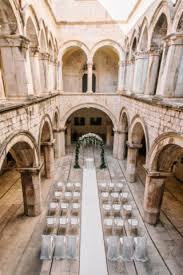 For further information on booking us in Dubrovnik, head over to our contact page and get in touch... Nazdravlje!